The Global Volcanism Program has no activity reports for Savo. The Global Volcanism Program has no Weekly Reports available for Savo. The Global Volcanism Program has no Bulletin Reports available for Savo. The 6 x 7 km island of Savo consists of a forested andesitic-to-dacitic stratovolcano with a shallow, elliptical 1 x 1.5 km wide summit crater. Lava domes of historical age are located on the crater floor and its NE rim, and older domes occur on the flanks of the volcano. Pyroclastic flows and mudflows traveled down valleys from the summit crater to form debris fans along the coast. Thermal areas located in the summit crater, the south to SE flanks, and offshore include areas of steaming ground, fumaroles, small geysers, and hot springs. Spanish explorers arrived in 1568 during the first historical eruption of Savo. Pyroclastic flows during the climactic phase killed almost all inhabitants of the island, and oral traditions also note the expansion of the island on the northern side. Other eruptive episodes occurred during the mid-17th century and during the 1830s to 1840s. Grover J C, 1958. The Solomon Islands--geological exploration and research 1953-1956. Geol Surv Brit Solomon Is Mem, 2: 1-150. Petterson M, Cronin S, Taylor P, Tolia D, Papabatu A, Toba T, Qopoto C, 2003. The eruptive history and volcanic hazards of Savo, Solomon Islands. Bull Volcanol, 65: 165-181. There is no Deformation History data available for Savo. There is no Emissions History data available for Savo. The broad irregular profile of the 6 x 7 km island of Savo is seen from an approaching boat. 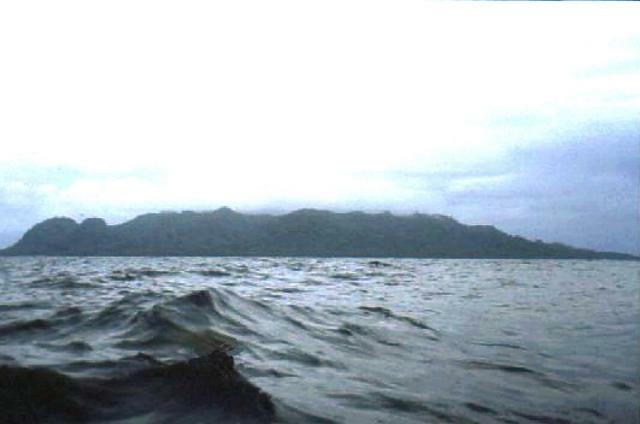 This forested stratovolcano has been the source of major historical eruptions, which included pyroclastic flows that devastated much of the island. The summit contains a 1 x 1.5 km wide crater. Lava domes are located on its floor, NE rim, and on the outer flank of the volcano. Thermal areas located in the summit crater, along the flanks of the volcano and offshore include fumaroles and small geysers. Photo by Nick Varley (University of Colima). There are no samples for Savo in the Smithsonian's NMNH Department of Mineral Sciences Rock and Ore collection. Large Eruptions of Savo Information about large Quaternary eruptions (VEI >= 4) is cataloged in the Large Magnitude Explosive Volcanic Eruptions (LaMEVE) database of the Volcano Global Risk Identification and Analysis Project (VOGRIPA).